Saqib Gulzar, B.Tech Graduate in Civil engineering from NIT has won the “Best Paper Award” in Oral Presentation at two-day National level Interdisciplinary Science Conference-2015 (NIS’CON-2015) on ‘Recent Research Trends in Chemical and Environmental Sciences’ held at Sri Pratap College. The conference witnessed over 200 participants from different universities of the state & premier institutions of the country such as IIT Roorkee, Delhi University, Jamia Milia, GNDU, etc. During the conference, papers were presented in four categories such as Environmental sciences, Chemical Sciences, Physical & Material Sciences and Life Sciences. Saqib presented his work entitled “Flood Resilient Construction in Jammu & Kashmir” co-authored by Prof. A.R.Dar, Prof. A.Q.Dar and Er Ovais Gulzar under Physical & Material Sciences Category. His work drew attention of all the participants as well as experts and was appreciated by all. 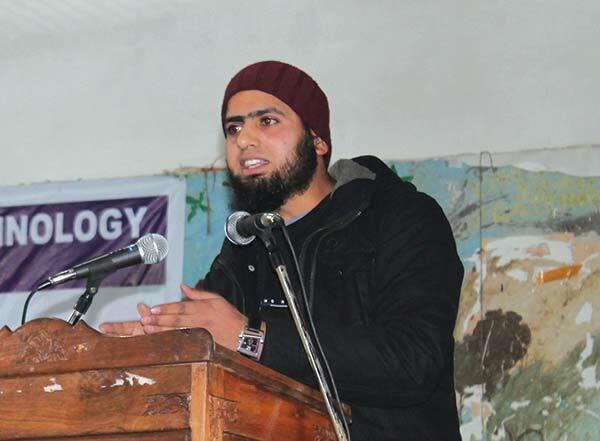 He was awarded at the valedictory function of the conference by Director BOSE, CoE Kashmir University, Deputy Director Tourism Department & Principal S.P.College, Srinagar.